Dr. Blumenfield is psychiatrist practicing in Wooldand Hills ( Los Angeles ) California. He and his wife Susan enjoy seeing new and old movies and reviewing them in this blog. Dr. Blumenfield also reviews books on BookRap.net and writes about psychiatry on PsychiatryTalk.com. 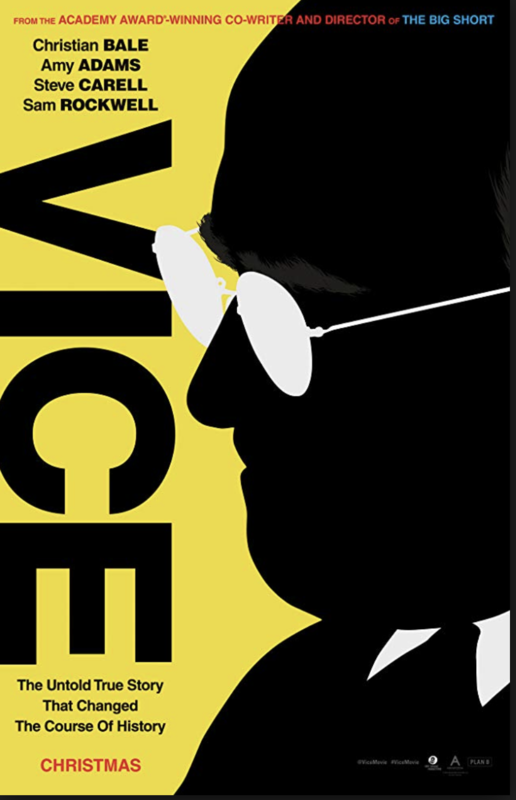 This is a coming of age film but not exactly in the usual way that things play out. 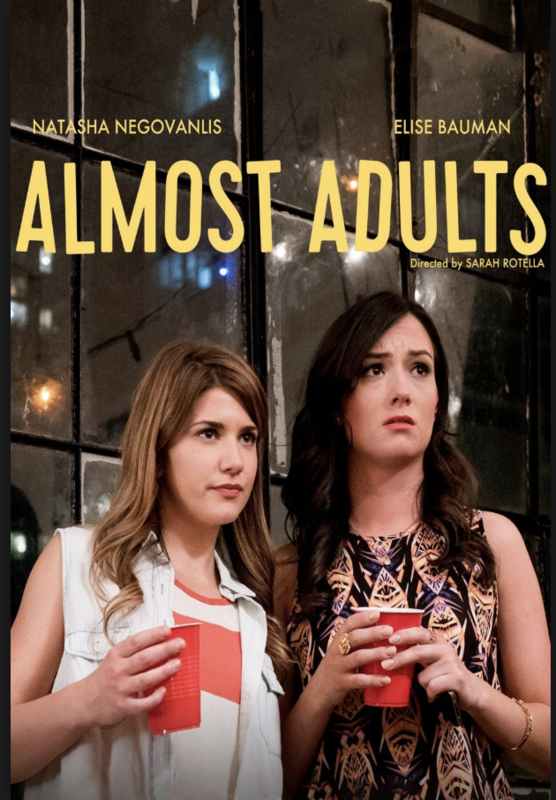 Here we have two girls Mackenzie (Elise Bauman) and Cassie (Natasha Negovanlis) who have been friends since childhood and now roommates in their senior year of college. The big issue is that Mackenzie has just come out and told her parents that she is gay although they were not surprised. However, she has difficulty in telling her childhood friend who is straight and just had a break-up with longtime boyfriend Matthew (Mark Matechuk). 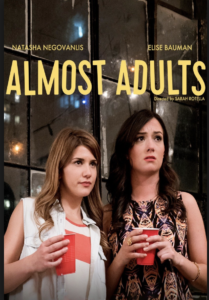 We witnessed the inner and outer struggles as each girl has to try to move on with her life. 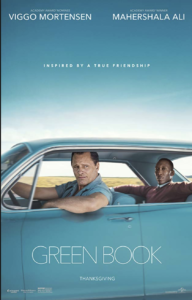 Of course, this is the time of social media and instant communication as well as in the age of Tumblr where gay people can meet up, all of which are part of the backdrop of this movie. There is also an experienced gay guy Levi, (Justin Gerhard) who tries to guide Mackenzie into the gay world. 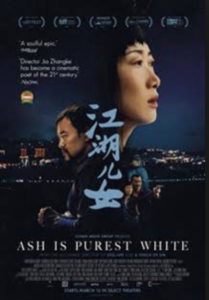 This movie is in Chinese with English subtitles. The director and screenwriter is Jia Zhangke who is married to Zhao Tao, the accomplished star of this film. The movie was extremely well done with beautiful photography in part because of the French director of photography, Eric Gautier, and an excellent riveting performance by Ms. Tao. However, in our view, the storyline did not go anyplace. Perhaps the main value of the movie was to show a glimpse into the underworld life in modern day China. There appears to be a gang culture that exists with the usual expected loyalties. The story also depicts the classic situation of unrequited love. If a film is going to take us for 2 hours and 20 minutes, it should develop a pretty tight hold on us, which was not the case here. 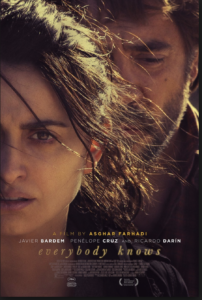 Maybe the language barrier hindered the ability of the movie to do it for us (2019). 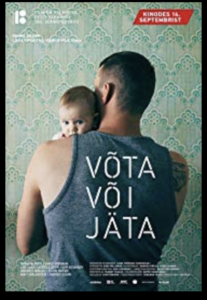 This was the entry from Estonia for the Best International Film in the Oscar competition. The story line of the movie could probably happen in any country. A young woman delivers a newborn baby and she tells her ex-boyfriend that the baby is his, but she doesn’t want to have anything to do with the child. The young man feels obligated to take possession of the baby, whereas the girl gets out of town. The young man’s mother can help a little but to take care of the baby he is forced to quit his construction job and take small jobs where he can take the baby in a carrier with him. A few years passed and the baby is now a little girl with great affection for the most important person in her life as he carries on the role of both mother and father. Director and screenwriter, Liina Trishkina-Vanhatalo puts the spotlight on this role reversal of the more common situation where the man walks away and leaves the woman to raise the child. However, what probably makes this movie a contender in the Oscar race is that the storyline goes one step further by providing a surprising twist in the plot of the movie. The standout actor who plays Eric, the young man is Reimo Sagor. The mother of the child is played by, Liis Lass. Kudos also go to the infants and toddlers and the little girl who played the role of Mai, the baby that we watched grow from an infant to the little girl about ready to go to school. This is the Kazakhstan international entry for the Oscars and it is in the top nine entries being considered for best picture. 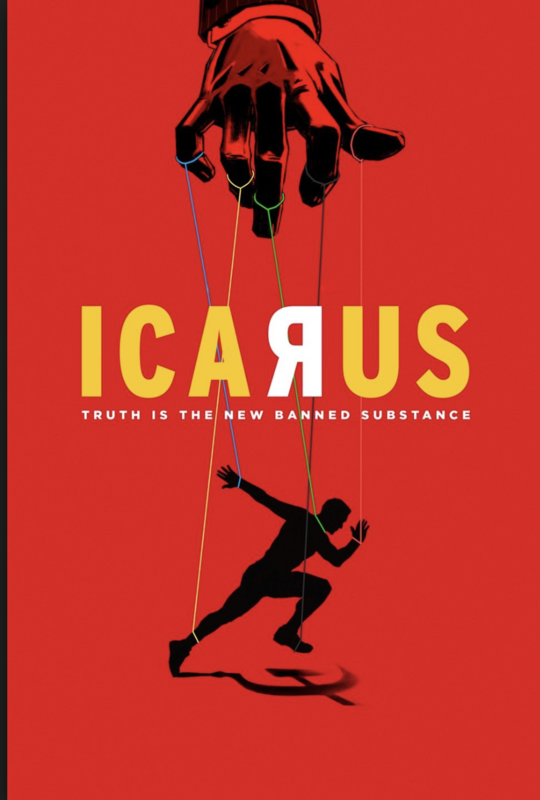 It is directed by Sergey Dvortsevoy who also is the main screenwriter and producer. It stars Samal Yeslyamova who is on the screen 99% of the time and has already won the Cannes Film Festival award for best actress. 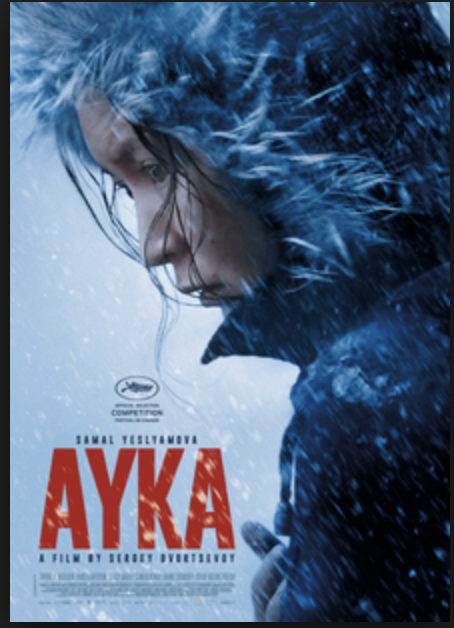 It took six years to make and the film was extremely realistic as it shows the main character in the snowy streets of Moscow suffering as she tries to survive as an illegal immigrant in Russia. When you think of Bruce Springsteen entertaining an audience, you probably envision an open-air concert venue with him rocking away with his group, the E Street Band. That is not how “The Boss” chose to make his latest live appearance. 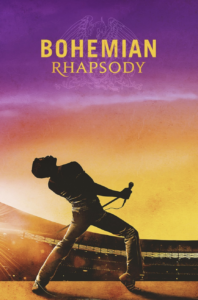 The now 70-year-old music icon decided to appear at the Walter Kerr Theatre on Broadway in Manhattan. 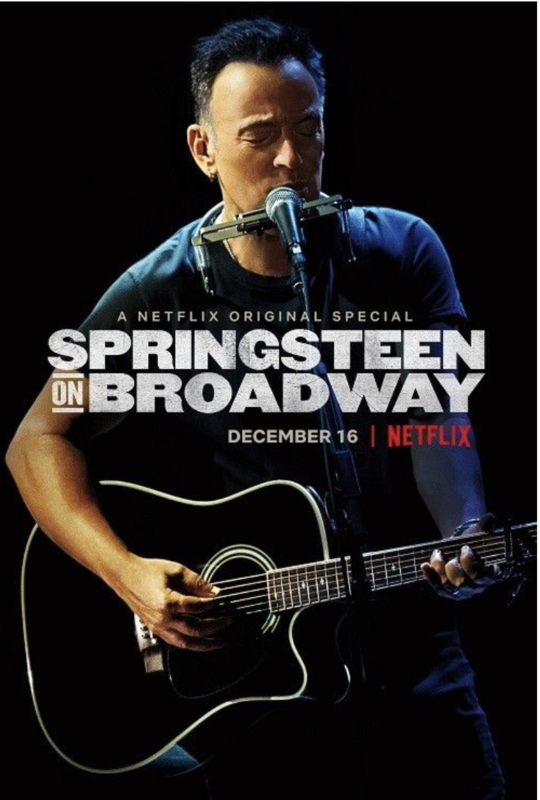 He provided an intimate one-man show, which had a 14-month limited run on Broadway but fortunately for many of his fans, the two-and-a-half-hour concert is now captured and available on Netflix. 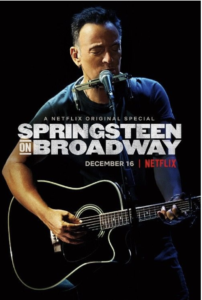 It is a close up of a very personal dialogue between Springsteen and the audience as he tries to tell the story of his life with his guitar, harmonica and piano and of course his voice and words. He begins with a description of how he was impacted as an 8-year-old child by seeing a new singer on his small TV set in 1956, what for him was the beginning of rock and roll. Although not mentioning him by name, he obviously was referring to the first television appearance of Elvis Presley on The Ed Sullivan Show. Springsteen describes his childhood and family and we soon realize that the real working man that he was always singing and telling stories about was in fact his father. Springsteen confesses that he himself never worked nine to five and that the magical description of the Jersey Shore was an exaggerated figment of his imagination although that is where he did live during his early years and near where he lives now. But certainly, the feelings and emotions about which Springsteen was singing came from the bottom of his heart. The spirit and energy, which inspired an entire generation, were unmistakably recreated on the stage at the Walter Kerr Theater. It was poignant, thoughtful and brought you close and kept you there. Spingsteen’s use of language both in his monologues and in his songs is riveting and poetic. The pictures he paints remain in your heart and imagination. Although this was a one-man show, he was joined for a few minutes and one song with his wife, Patti Scialfa. They sang a duet in which she did not have any solo interludes although he had several during their time together on stage.